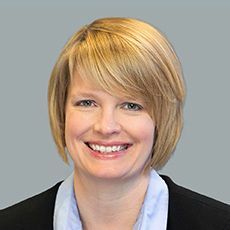 As National Practice Leader for all of Woodruff Sawyer’s commercial lines business units, Carolyn oversees our firm’s property & casualty and management liability services on an enterprise-wide basis, working to ensure consistent client service and strategy under a unified national structure. Carolyn joined Woodruff Sawyer in 2006, and has led the firm’s Management Liability practice since 2010. In this role, she advises clients and Woodruff Sawyer brokers and consultants on matters relating to the full suite of corporate & executive protection insurance policies. This includes directors & officers liability, employment practices and fiduciary liability insurance. A respected industry expert, Carolyn was named as a 2018 Woman to Watch by Business Insurance. Carolyn has been a featured panelist for the nationally prominent Professional Liability Underwriting Society, among others. She has a bachelor’s degree in business administration/finance from Rider University and an MBA from New York University’s Stern School of Business.